Chris Townsend Outdoors: Is it Spring yet? 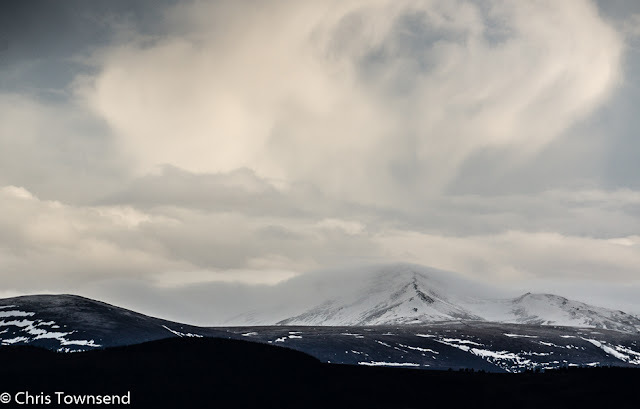 Snow is falling on the high Cairngorms. The air is frosty in the glens. It doesn't feel like spring yet. So when does the season really begin? Here's a piece I wrote for The Great Outdoors last year. Every year sees a little tussle over the date of the first day of spring. March 1 says the Met Office. The equinox, March 20/21, say traditionalists. Both conveniently divide the seasons into three month blocks. The Met Office likes it neat and orderly so seasons begin on the first day of the month. Tradition goes with the equinoxes, when the hours of light and dark are roughly equal, for the start of spring and autumn, and the solstices, which mark the days when there is most or least daylight, for summer and winter. The latter is more in tune with natural cycles but neither really says when any season begins. Nature isn’t that rigid or predictable. Spring doesn’t start abruptly on any day. Spring comes in gradually over several weeks. It’s a process not a date. And spring comes in at different times in different places. The further north you are the later it arrives – for an early spring go to Cornwall not Caithness. More importantly for walkers spring comes in later the higher up you go. Mountain summits can still be snow-covered when the valleys are green with fresh grass and bright with the first flowers. This catches some people out. Every year when spring is announced in the media mountain rescue teams and national park authorities issue warnings about winter conditions on the tops and most years someone ill-equipped and ill-prepared has to be rescued because they thought winter was over. 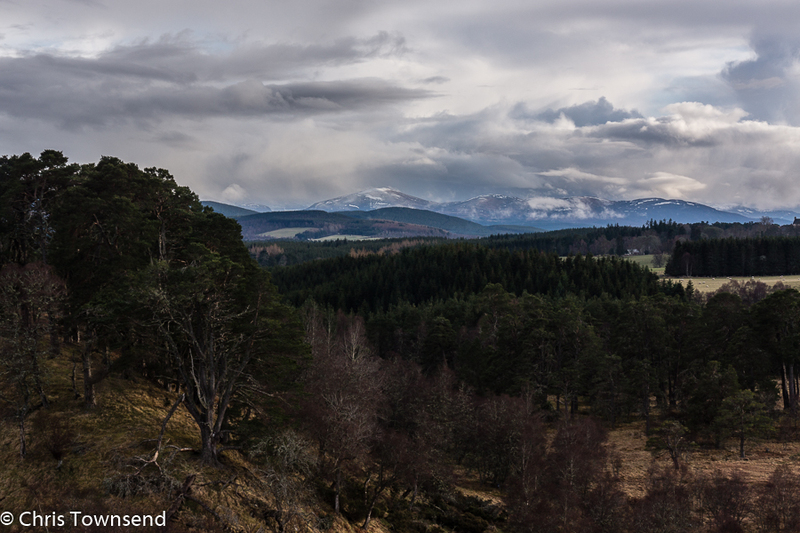 Even when there is little snow left the contrast between lush green valleys and withered brown hills can be great. No snow in March doesn’t mean no more winter conditions either. One year recently in the Cairngorms the hills were almost bare when spring officially began but were then covered in snow from April well into May – most of my ‘winter’ activities took place in those months that year and some TGO Challengers found themselves struggling through deep snow in the Lairig Ghru. The idea that each season is equal in length also doesn’t fit with what actually happens. The length of a season is fluid, varying from one year to the next. Spring sometimes goes by in a rush. Leaves and flowers appear, the world turns green and then after just a few weeks it feels more like summer, the newness already gone. In other years late snows and cold winds, even in the valleys, can delay the start of spring and when it begins it may take weeks to develop. Every year is different and this is one of the joys of spring. The same events happen but at different times and speeds. Waiting for spring is always an exciting time. Spring for me signals the start of the year’s backpacking, the time when my load can be lightened and further distances travelled in the lengthening days. Here in the Cairngorms I think of April as usually being the first full spring month, at least in the glens, with May as spring at its height. By June it seems like summer. How will the spring of 2015 will develop? It’s certainly barely begun in the woods but the birds are singing and the lapwings are wheeling over the meadows, calling loudly. For me the return of the latter always marks the start of spring, regardless of the date. This year I first saw them on March 1st, so this year I agree with the Met Office. I've always gone with the trees and ignored the "official dates", at the moment most near us are bear but a few are showing signs of life so spring is starting. Humans just love to put things in orderly little boxes, but nature likes random and chaos. Maybe it's not just me, but others agree our seasons are all over the place. I know some Scottish-based outdoor instructors who have noticed this, and commented about it to me, and the winter skills courses in your neck of the woods used to run from November to April/May. Now it's more or less confined to February. Some of those instructors now live and work as mountain leaders in the Alps and say the same is happening there, its all Topsy-Turvy weather/seasonal wise. The seasons seem to be morphing into one long dull grey season (which is why I'm considering moving to southern France). Two months in the Lakes last year during the floods pretty much nailed it for me... Two months of perpetual rain and gails... And almost dark by 2-3pm with streetlights on... I'm brushing up on my French!